Do you have a computer and technology lover in the family? Is your friend looking for an entertaining source of technology reviews and advice? If so, then a gift subscription to Computer Shopper magazine could be the perfect present. 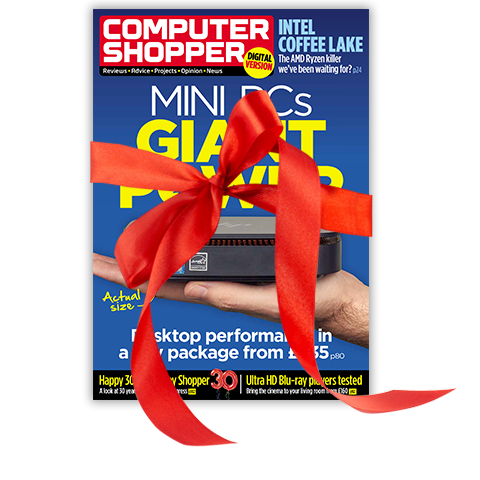 Delivered every month, Computer Shopper is a unique and original gift that keeps on giving. Plus, your lucky recipient will receive their issue up to 1 week before the magazine is on sale in the shops. However you want to pay, our easy-to-use secure site offers easy payment by Credit Card or PayPal. You can choose between 6 issues for just £24.49 or 12 issues for £49.99.